Chicago Public Schools and Chicago Children’s Advocacy Center (ChicagoCAC) announced the launch of an extensive partnership to help improve the district’s response, outreach, and prevention of sexual abuse. This partnership will enlist ChicagoCAC’s expertise to play a key role in a collective effort to ensure CPS schools are safe environments for all students. The collaborative effort to help prevent abuse and better support students builds on the district’s recent commitment to re-check the backgrounds of all adults who work in schools prior to the 2018-19 school year and the comprehensive Plan of Action CPS developed to safeguard students. Therapy for students. ChicagoCAC will work with CPS to establish a rapid referral process to ChicagoCAC for students who are identified as possible victims of sexual abuse. ChicagoCAC will prioritize linking students to mental health services at the Center or one of its partner mental health providers. ChicagoCAC will also help connect families with staff who can provide case management and advocacy services. Training: In order to train all CPS staff quickly and effectively, ChicagoCAC will combine in-person training with a customized webinar, as well as additional specialized training for CPS social workers, counselors, psychologists, nurses and crisis response team members, among others. Training for all staff. ChicagoCAC will develop a training curriculum that principals will deliver to their staff that (1) clearly defines sexual abuse and misconduct, (2) reviews warning behaviors of sexual abuse (grooming), and (3) thoroughly explains mandated reporting responsibilities. The training will be customized to CPS’ needs and will include age-appropriate content. 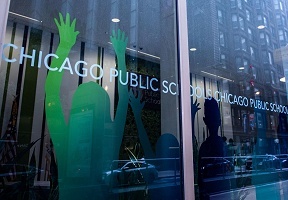 As CPS works to execute its Plan of Action, the district will be keeping parents updated on a regular basis through a new web page at CPS.edu/ProtectingStudents. Most importantly, if you suspect abuse, please report it immediately to the Illinois Department of Children and Family Services at 800-25-ABUSE.